Melissa is an Occupational Therapist who lives in Hickory with her husband. She graduated from the University of Colorado Denver in 2009 with her Bachelor’s degree in Psychology. She graduated from Lenoir-Rhyne University in 2015 with her Master’s degree in Occupational Therapy. She joined Pediatric Therapy Network September 2015. 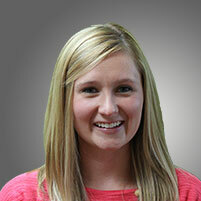 Melissa is excited to pursue her passion to work with children.